Casco/Mansion built since 2002 in neo colonial style, designed for being a guest estancia or private residence, forming courtyard with pool and very extensive galleries, latin style, roughly 10x bedroom, 10x bathroom, correspondingly halls, dining, livings, study, 1.040m²total, furniture included. Barn, garage. Gravel road at gate, paved road at 3 km, Montevideo at 320 km. 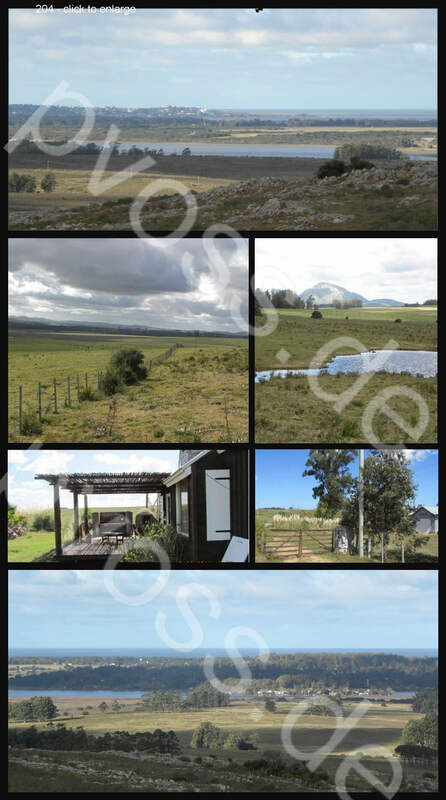 property with great views towards lake and Atlantic and towards hillside interior in the most upmarket and sought after region of Uruguay. 60-65% decent agricultural land for livestock and various cultivations. 35-40% for extensive lifestock (cow/calf , sheep). Vineyard is an option. 1x main farmstead, currently for care taker, 2x minor farmstead. 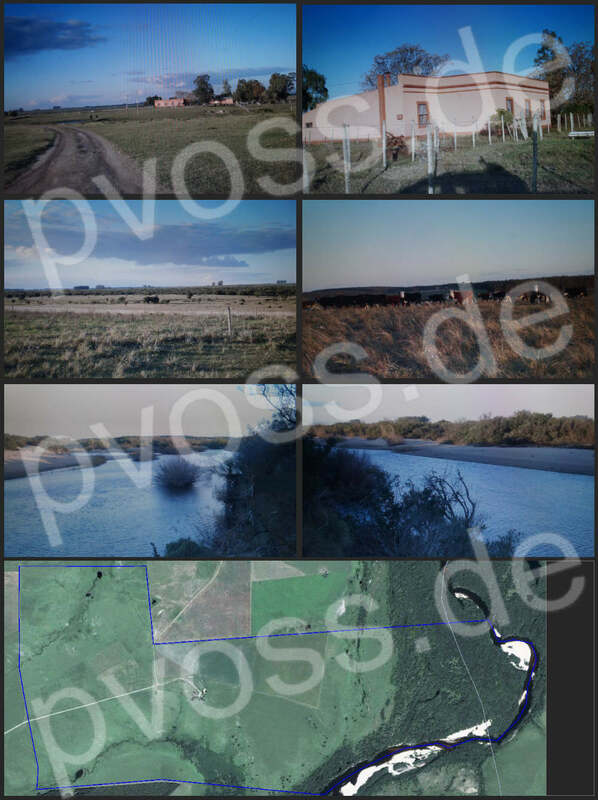 Barns, complete livestock installations, 14 fenced subdivisions, public electricity. Therefore rather suited as investment to rent out to producers in the region. Without major buildings or infrastructure. Therefore rather suited as investment to rent out to producers in the region. Therefore rather suited as sole forestinvestment. rented out at currently (2015) 650kg soja / hectare p.a. Listings published on our website are a fraction of the properties we can offer. Please inquire. * Coneat = Uruguay's soil fertility / productivity rating system. The system covers all rural properties. Each property as well as each soil type is rated accordingly. 100 would indicate medium fertility/productivity by Uruguayan standards, often a major part of it being suitable for agriculture, 150 would indicate a high yield cropland. Disclaimer: This information is from sources deemed reliable but not guaranteed by us. Properties are subject to prior sale, price change, correction or withdrawal.